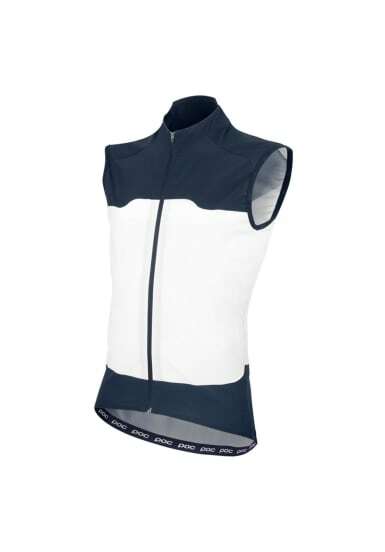 Designed for changeable conditions, the Raceday Gilet incorporates a lightweight fabric at front with a dense structure that provides a natural windbreak effect. 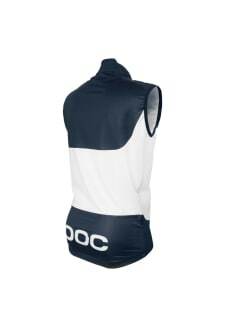 The back is made from highly breathable 4 way stretch fabric and the strategic combination of fabrics allows for an aerodynamic gilet with low weight and excellent moisture management. It has a full-length YKK zipper for flexibility and can be easily stowed in your back jersey pocket. Aerodynamic windproof fabric at front. Lightweight 4 way stretch fabric at back. Highly breathable and excellent moisture management. POC elastic hem at back.